As this is an all-day meeting, we have a small lunch catered in. Normally we just order in sandwiches from around the corner, but this time I decided to order in pizza, pasta and salad for lunch from a local, new client called Slim & Husky’s. Now that we have promoted Jillian Davis to our Director of Client Engagement, she has created a 90-day onboarding training program for our clients to ensure they get the most from our catering software. We are getting some phenomenal increases in usage of our software. If you are a current client and need some extra hand-holding, please call us. Jillian will be happy to help you out. Slim & Husky’s adopted our technology quickly. Ordering our catered lunch from them reminded me of how hassle-free ordering catering can be with the right catering software. Ronald, their Catering Sales Rep, called me to discuss my needs. In practically no time, he sent me over an email with a copy of my catering order detailed and broken down. It made reviewing the order a breeze. I emailed him back my approval to proceed and asked him about getting him my credit card. Though you can easily accept credit cards when creating an order and keep them on file, he sent me a copy of my invoice via email to click and pay. How convenient to be able to click a few buttons and pay for my catering order in advance. To use this feature, you must be set up to process credit cards in CaterZen. Most of our clients that process cards via our system are batching them and processing them after hours. Our system sends your catering client a copy of the catering order with PAID stamped in red. The operator receives a detailed credit card report with all the charges that were accepted or declined. 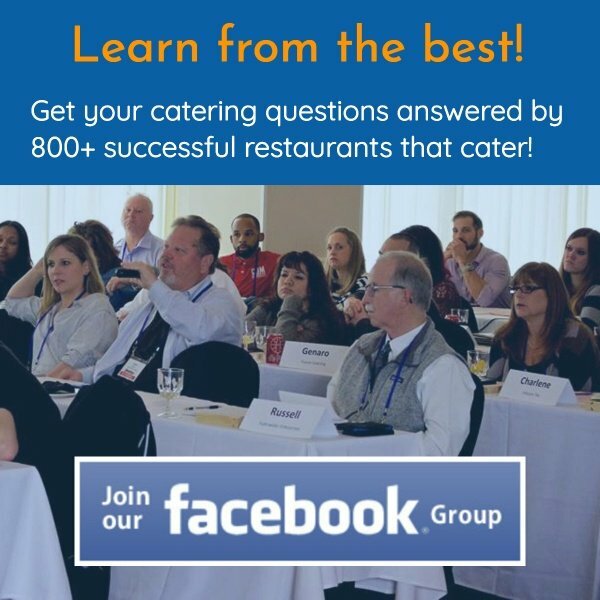 Many of your catering clients will forget about their orders. I wrote an article recently about the importance of confirming catering orders the day prior to avoid cancelations and offer any last minute upsells. I am embarrassed to say that I didn't mention that we have an automated reminder system built into our catering software. If turned on, your catering clients receive a confirmation email with a copy of their catering ticket. You can customize the email text, as well as toggle it on/off. When I was sent the email below the day before my event, I was pleasantly surprised. Any time you can rely on processes, not personalities, to operate your business, the better off you and your clients are. 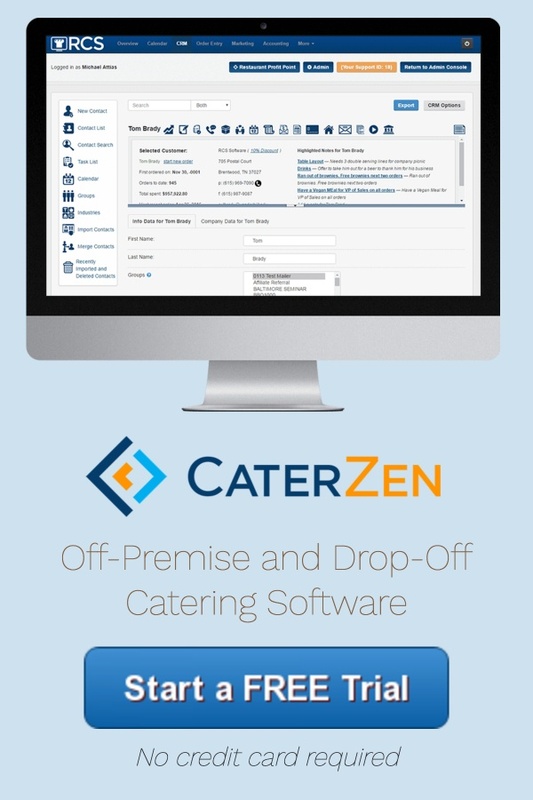 CaterZen was developed from the workflow and challenges of my million-dollar catering business, and that of our software clients. So often, we business owners never play customer and see what it’s like. 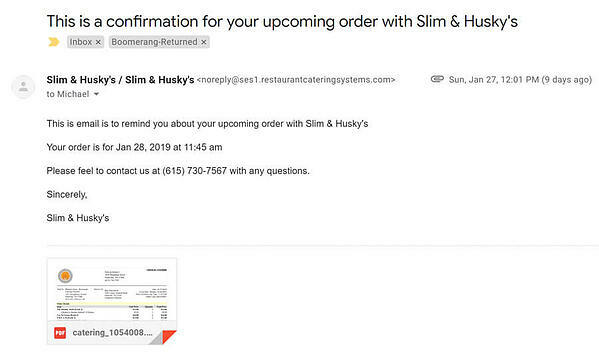 With our catering order from Slim & Husky’s, I was so proud that our software worked as designed. In fact, the user experience was better than any other catering I’ve ever ordered. The obvious takeaway is for you to run out and sign up for our service ASAP. When was the last time you played the role of your customer? Have you ordered take-out? Gone through your drive-thru window? Inquired about an event and received a proposal? Mystery shopping yourself will do so much to either reinforce or sharpen what you’re doing. Every one of us has some type of competition. Let’s make sure we are exceeding their expectations each day. Personally testing your own customer experience keeps you sharp. Complacency kills! Don’t let it be the death of your sales and profits. We are trying to find great clients for our catering software and we've recently launched a referral program that rewards everyone. 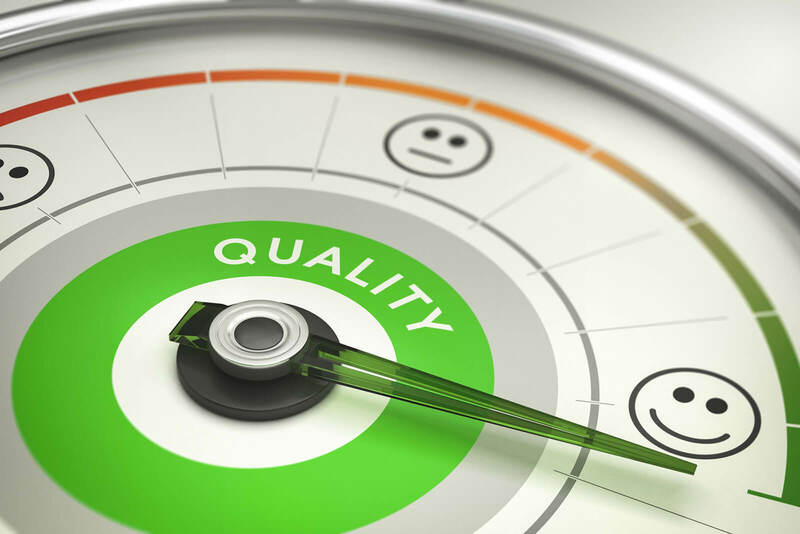 Have you personally tested your customer experience? Let us know in the comments!